Prospective clients draw from a number of different resources and criteria as they perform their due diligence, both online and in person when looking for an attorney. They use some criteria to filter their search and other criteria on which to base their decision. 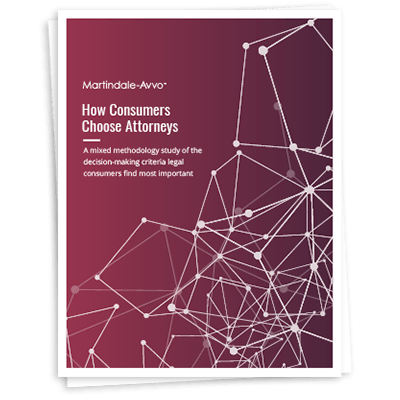 Read “How Consumers Choose Attorneys” and discover which criteria influences consumers at each point in the decision making process…and how you, the legal professional, can use this information to grow your practice and make legal easier for your client.